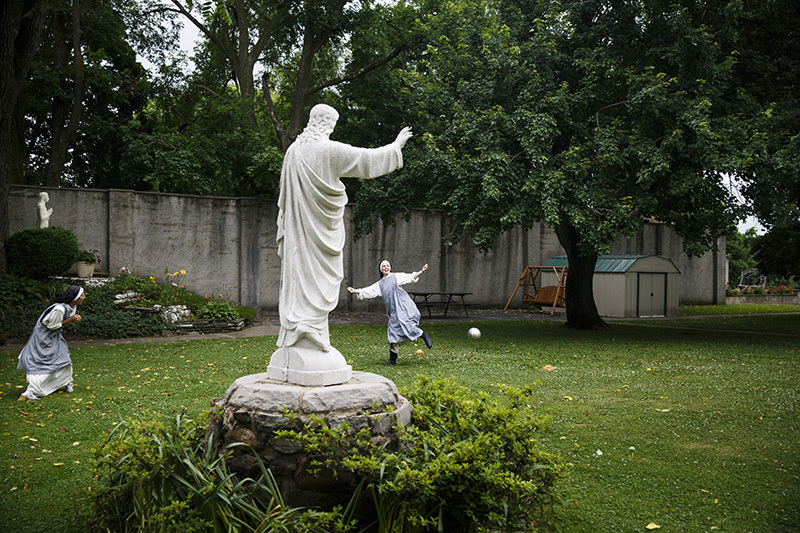 The youngest nuns enjoy playing soccer during their half hour recreation period. Sister Maria Teresa (right) attempts to pass the ball to Sister Joseph Maria (left). The Dominican Nuns of Summit, New Jersey, are a cloistered Roman Catholic monastic community founded in 1919. Their primary mission is to pray for the salvation of souls by leading a hidden life of prayer.